I found this recipe out of desperation a couple weeks back. We were having spaghetti for dinner and we always have Texas Toast along with our meal. In our house spaghetti just wouldn't be the same without Garlic Texas Toast. Well, I thought I had a box in the freezer but I was wrong. What I did have was a loaf of french bread so i thought I would jut make it myself. Off to the computer I went and googled homemade Texas Toast and came up with a recipe for Bobby Flays Texas Toast . The original recipe called for double the ingredients but I only had one loaf of bread so I cut the recipe in half. I also baked the bread since we were having spaghetti, but I think grilling them would be awesome as well. I think you could also use whatever bread you have on hand so if you don't have french bread I don't think it's such a big deal. In the end our spaghetti dinner was saved and we really enjoyed the homemade Texas toast. 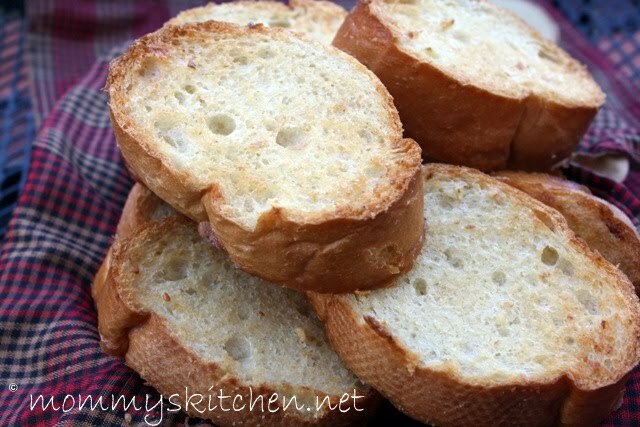 So if you catch yourself without Garlic Texas Toast, I highly recommend this recipe for two reasons. One because it's so good and two because it's Bobby Flays recipe and he is such a cutie patootie in my book so how can you go wrong with those reasons. Mix together the butter and garlic in a bowl and season with salt and pepper to taste. Brush both sides of the bread with the butter and place on the grill or baking sheet. Bake the bread about 10 minutes or until lightly golden brown on both sides. Mix together the butter and garlic in a bowl and season with salt and pepper to taste. 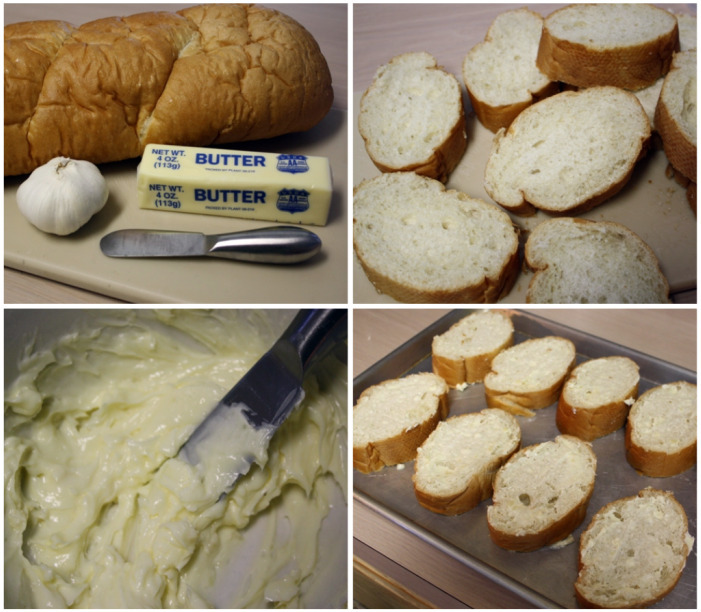 Brush both sides of the bread with the butter and place on the grill or baking sheet. Bake the bread about 10 minutes or until lightly golden brown on both sides. If you grill the bread then grill 1-2 minutes per side. Oh, we are the same about spaghetti at our house. We absolutely LOVE garlic bread. That looks great. If you have a costco near you check to see if they have Johnny's Garlic Bread seasoning. We love it. You can keep it in your cupboard, then when you're ready to make the bread, just mix some with some butter and spread it on. Delicious! I've started to use it for other things as well. Thank for letting me know Michele and we do have a costco. Garlic Texas toast is something I almost always have on hand. We even use it instead of buns for our burgers sometimes, we just love it. It's nice to have a homemade recipe though and I agree, Bobby really is a cutie patootie, lol! I love Garlic Bread. Especially with butter. Thank you to everyone who is linking up. I love all the recipes and I found lots of new ones for me to try. I always buy those boxes, but feel that they are so overly laden calories and fat, that this sounds like a much better alternative! !